10% off Phantom 3 series. We're taking 10% off so check it out now. Phantom 3 Standard - add code now! Get this deal now by clicking through. Take $300 the Phantom 3 Standard. Add the code and we'll take $300 off the balance. Free hand delivery and flight training sessions. DJI Care. Purchase now and get half off. Spend $149 Euros and you're in. Upgrade now with 10% off the DJI Mavic Air. DJI International is a technology company based in Shenzhen, China. The company was established in 2006 by Frank Wang who launched it from his dorm room at Hong Kong University of Science and Technology. It all began as part of a research project funded by the institution. It is best known for manufacturing drones (unmanned aerial vehicles) that are used for aerial videography and photography. The company also manufactures cameras, flight control systems, flight platforms, camera gimbals, and camera stabilizers. DJI International has a 70% market share of drone technology with its products used on music, TV, and film sets of popular shows and productions. DJI International sells its products via its online store and through recognized retailers around the world. Its products are manufactured in factories scattered across the globe although the headquarters are based in Shenzhen, Guangdong, China. DJI has a unique after sales service arrangement that enables customers to pay a certain amount and receive repair and replacement services within a stipulated period of time. 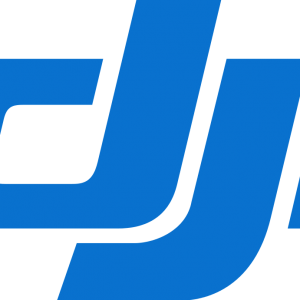 DJI Care, DJI Care Refresh +, DJI Care Refresh and other plans are meant to provide customers with expert repair services when they damage their drones and accompanying accessories. Select the product(s) you want to buy from the store and put them in the shopping cart. When you are done shopping, opt to checkout. The checkout option comes up when you click on the shopping cart icon at the top of your screen on any page. You can check it out the normal way or via PayPal. By clicking on the small, blue button with a plus sign, a pop-up will come up prompting you to enter your coupon code. All these options can be accessed through the “Support” page at the menu bar. To reach them via email, you should have an account with them; therefore, you have to sign up if you don’t have an account. The Facebook messenger link opens directly on the messenger. On the forum, you can watch videos recorded using products sold by DJI International. You can comment on them and contribute your own videos. To join the community, sign yourself up. It is in perfect reselling condition. This means that it has no defects caused by either manufacturing or wear and tear. To commence the refund process, contact customer support via email or live chat. Contact them before you send the item(s) you intend to return. As you return hardware, send it along with all the accessories it arrived with including the charger, user manual, original packaging, proof of purchase or invoice, and gifts. DJI care can also be refunded if the product it is meant to cover has been returned and you have not invoked any service provided under the plan. Software returns must be accompanied with all the product keys and media. You may have to sign an electronic letter of destruction when you return software. A product that cannot be returned or replaced and which is clearly stated as such.